Food trends are tending towards a more natural approach. PCB has met this growing demand by creating Pure Emotion, a range where colour comes from 100natural ingredients: without colourings, preservatives or added flavours. Such an innovation – awarded the Sirha 2019 prize for its cocoa butters – couldn’t do without an instruction guide… and so here it is ! You will discover an endless selection of ideas for you to create with products from the Pure emotion range, as well as classic recipes with a twist from our Pure Emotion chefs. It’s up to you ! Cocoa butters, powders, pieces of fruit… so many possibilities for multiple uses. 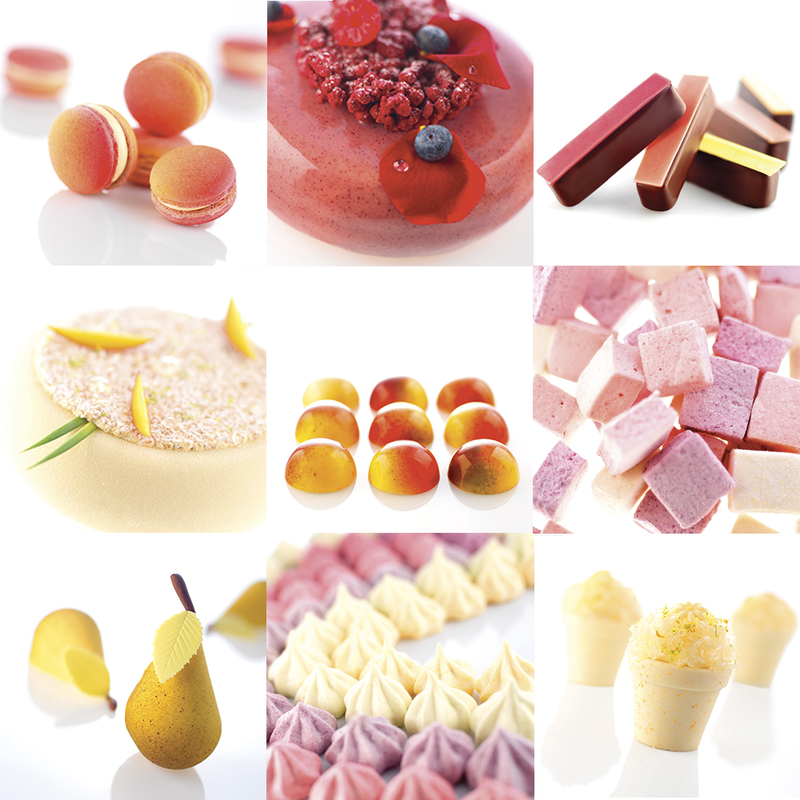 Choose an infinity of colours, finish your creations with a natural touch and impress your clients with the unique and delicate taste of Pure Emotion !